CUE-D95 is aimed at the emerging smaller form factor Cinema Cameras. Built to Japan’s stringent PSE regulations, the CUE series sets the standard for mechanical and electrical safety. Lightweight but still capable of taking a robust 6.3A/76W load with an in-built D-Tap connector to power the peripherals necessary to get the best from these system cameras. - Lithium Ion battery designed to meet Japans stringent PSE safety regulations for enhanced mechanical and electrical safety. - Manufactured in co-operation with Sanyo, the world’s premier supplier of Lithium Ion cells. - 1 x (D-Tap) DC output connector capable of taking a 50W load within the maximum battery draw of 76W. - Discharge Cut Off prevents damage by products such as lights which do not shutdown when battery voltage drops at end of cycle. - Battery circuit protection ensures the CUE-D95 is fully protected against common causes of battery misuse, guarding against over charge, over discharge, over current and exposure to high temperatures. 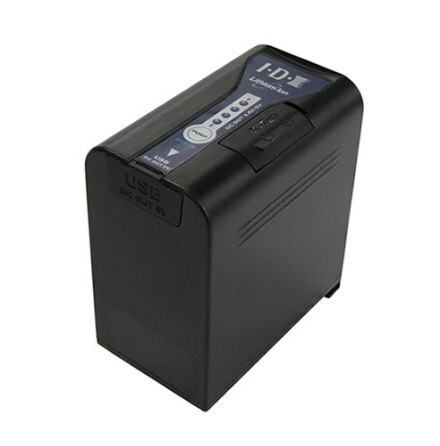 - Lightweight compact high performance Li-ion battery with a durable innovative design. 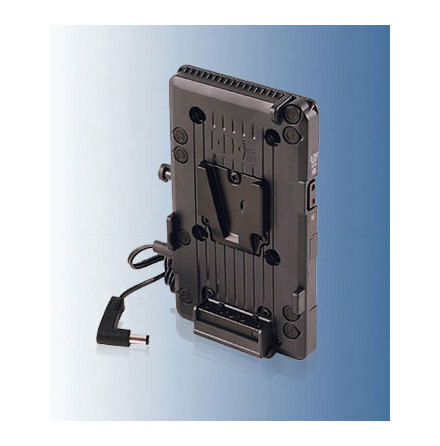 - Attaching CUE-D95 batteries to cameras without a standard V-Mount connection is possible through the use of P-V2 and P-VS2 adaptor plates, available separately from IDX. - Unrestricted spare CUE-D95 in carry-on airline baggage under IATA regulations. For further clarification please contact IDX. - The CUE-D95 is fully compatible with all ENDURA V-Mount chargers and accessories. Max. Output Voltage: 16.8V DC. Maximum Discharge Current: 6.3A / 76W. Battery Protection: Reverse charge, over charge (reset), over discharge (reset), over current (reset), temperature protection. To charge: 0°C ~ 40°C (10°C ~ 30°C recommended). To discharge: -20°C ~ 45°C (10°C ~ 40°C recommended). To store: -20°C ~ 50°C (-20°C ~ 20°C recommended). Dimensions: 97(W) x 146(H) x 58.5(D) mm. Can I bring these batteries as carry-on baggage on an aircraft? Please see these guidelines on battery transportation. For further information and documentation please also look here. How long will this power my equipment? To calculating an estimated runtime divide the batteries specified watt-hours (Wh) by the power consumption (W) of the equipment it will be powering. 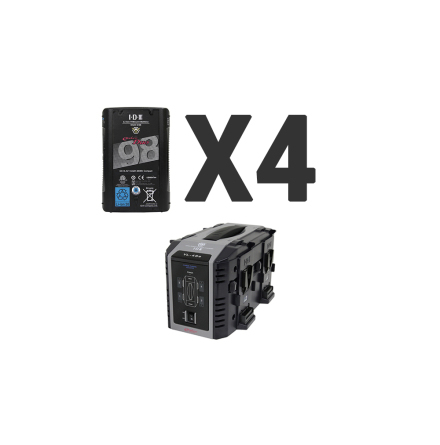 Example: IDX DUO-C98 (96Wh) / Sony PXW-FS7 (19W) = 5.1 hours estimated operation time. For commonly used cameras please see this tool from IDX. How long will it take to fully charge my IDX batteries? Please refer to this chart for charging times.